We are a leading UK-based DVD Duplication provider, offering high quality products that utilise professional grade JVC/Taiyo Yuden DVD-R media with direct to surface full colour digital printing. Our exceptional quality is combined with the lowest prices in and around the UK so contact us today for a FREE quote. Whether you need 50 copies of a school play or 500 copies of a corporate DVD, Media Matters Technology will meet your requirements with a professional product, produced quickly and efficiently, ready for distribution to your customers, employees, family or friends. 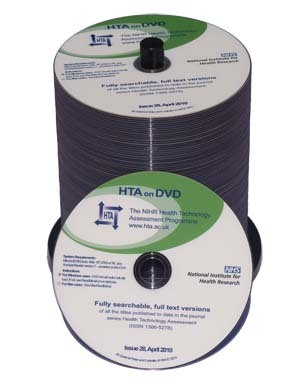 You can download information on how best to supply your DVD artwork to us by visiting the Disc Artwork page. Alternatively if you have not created your own artwork for your DVD, Media Matters Technology staff can help – and we won’t charge you a fortune! As with our CD Duplication service, our DVD Duplication is produced in-house and to the highest of standards, using only JVC/Taiyo Yuden DVD media. For our digital disc printing, we use the very best in automated digital print technology from on of Europe's leading manufacturers.